Amazon has signed a patent agreement with Microsoft that will allow the two companies to share technology. Microsoft confirmed the deal, stating that it would allow two of the tech world's biggest players to collaborate. "We are pleased to have entered into this patent license agreement with Amazon.com," said Horacio Gutierrez, corporate vice president and deputy general counsel for Intellectual Property and Licensing at Microsoft. "Microsoft's patent portfolio is the largest and strongest in the software industry, and this agreement demonstrates our mutual respect for intellectual property as well as our ability to reach pragmatic solutions to IP issues." 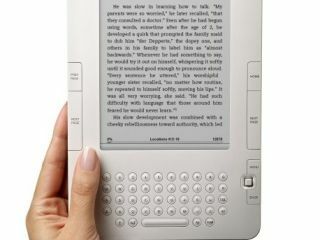 Amazon – the world's biggest online retailer – has had a huge hit with its Kindle eBook reader, making it a major player in the burgeoning world of digital books. Part of the agreement means that Amazon is now shielded from patent litigation for software on the Kindle, as well as their Linux-based servers. Microsoft added that Amazon would pay an undisclosed amount under the patent licence agreement.